Summer will be here in no time at all, and that means it’s already bicycle weather. With so many days of sunshine in Colorado, you know people are getting on their bikes to enjoy this weather and see what our great state has to offer. However, as much as many of us enjoying hitting the trails or the road, we probably don’t always think of the liability we may face in the case of a bike accident. As such, I recently spoke with someone over at KRDO about this very issue. You can view the interview below. There are special laws in Colorado involving bicyclist responsibilities and driver responsibilities toward cyclists. However, when bicyclists are sharing the road with drivers they are considered to be very much the same as a driver in many cases. 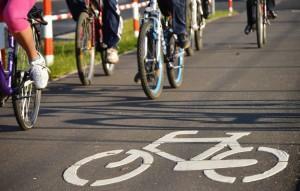 A cyclist is expected to behave the same way they would if they were driving a car. The rules of the road do not change for a bicyclist. For example, speed limits and stops signs are often areas that cyclists legally get caught up in, but those rules in place for drivers still apply for cyclists. Make sure your bicycle fits to you. Check your equipment – tires, chains, brakes, and gears. Always use hand signals. When turning, you must signal continuously at 100 feet before you turn. Watch for and avoid road hazards. Do not pass on the right. Scan the road behind you. I hope every bike enthusiast gets out and enjoys their time this spring and summer. Let’s all remember to be safe on the road and trails.